“Springtime for Henry (and Barbara)” at Wilton’s Music Hall, 26-27 Jan – tickets now on sale! 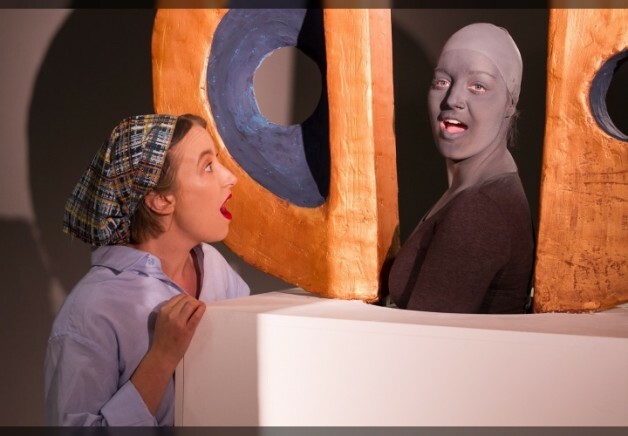 Gwyneth Herbert and Mel Brimfield are thrilled to present “Springtime for Henry (and Barbara)”: a fictitious lost musical centred around the lives of British sculptors Henry Moore and Barbara Hepworth, reconstructed in fragments for just three shows at the incredible Wilton’s Musical Hall. For two nights only, (before the inevitable Broadway transfer), a stellar cast brings this extraordinary story to life in a multitude of unexpected ways. See our durable hero Henry throw off the shackles of his humble Yorkshire roots to conquer the world. Meet our plucky heroine Barbara, languishing in his long shadow – just a little woman chipping away at an impossible dream… to stand on the shoulders of giants and carve out a niche of her own. Amidst a vivid collage of behind-the-scenes “documentary” footage, recontextualised archive material and a live TV chat show, expect heart-wrenching power ballads, toe-tapping swing-alongs and jaw-dropping show-stoppers… with West End stars and world-class musicians, high-kicking chorus lines and breathtaking set design… magic, mystery and a rigorous historiographical interrogation of the modernist legacy. Starring Tony Award-winner Frances Ruffelle (Les Miserables, Piaf) as Barbara Hepworth, Laurence Olivier nominee Andrew C. Wadsworth (Oklahoma, Kiss Me Kate) as Henry Moore, Hugh Ross (Passion, Woman in Black) as The Critic, and David Bedella (Jerry Springer: The Opera, The Rocky Horrow Picture Show) as The Director. Featuring Gwyneth Herbert, her band and the Starling Arts Choirs. A demo from the show’s development workshop stage, exploring Moore (cast here as a Jake Thackray figure) and Hepworth’s (Kate Bush) differing responses to the shared Yorkshire landscape of their youth, can be heard here on Gwyneth’s SoundCloud.